Fiat finally launched its most awaited Avventura CUV (Contemporary Urban Vehicle) at Rs 5.99 lakh (Ex-Showroom, Delhi). The Crossover is based on company’s Punto Evo hatch which was introduced in the first week of August. Avventura lock horns with Ford EcoSport, Toyota Etios Cross and Volkswagen Cross Polo in the segment. Fiat dealership has already started taking bookings of Avventura a month ago with deliveries starting today on the auspicious occasion of Dhanteras. 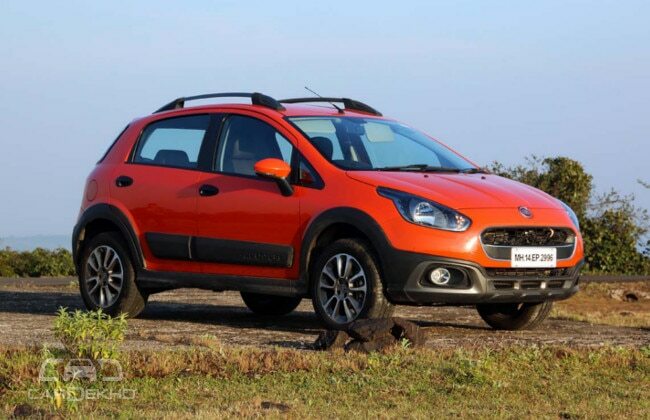 Fiat Avventura is made available with both diesel and petrol engine. The diesel model lineup includes Active, Dynamic and Emotion trims while the petrol model only gets Active and Dynamic. Lets find out in detail the standard, optional features and specifications of newly launched Fiat Avventura.